The Huddersfield Town Foundation is looking to recruit experienced, motivated and committed Sports Coaches. The Casual Coaches will lead and assist in the delivery of football and sport sessions across the Kirklees, Calderdale and Wakefield areas. 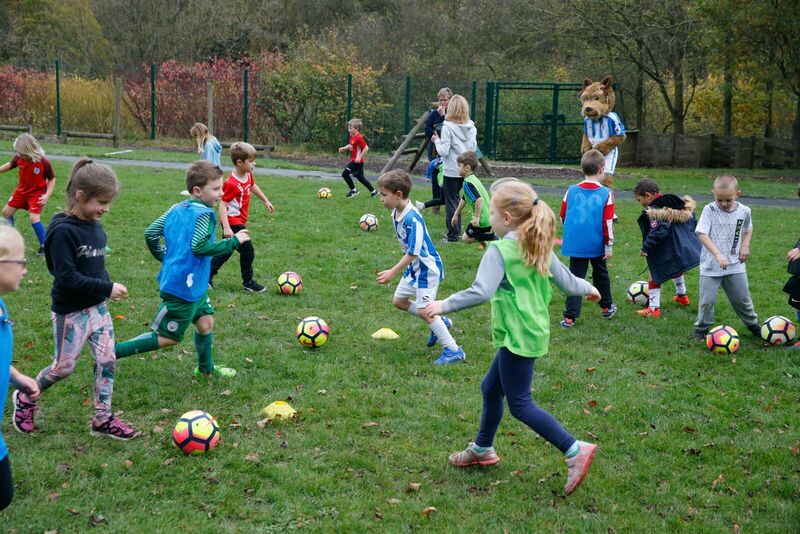 The Town Foundation is looking to expand its programme and coach as many children in the local area as possible and help them develop their football skills. The sessions, which can run both in and out of curriculum time, incorporate various skill games, as well as matches, so that the children get the most out of the sessions but also have fun! These vacancies present a great opportunity to enter the sports sector and work for one of the regions and industry’s most respected Football Club Foundations. Successful candidates will be individuals who are seeking to progress their coaching career, while also being flexible to work at different times and on various projects in themes such as Education; Health; Inclusion and Sport, as part of our continually expanding organisation. The coaches must have previous experience of working within football in the community or a Foundation setting. To have worked within the three district areas mentioned above, is desirable but not essential. Coaching applicants must have a minimum of a level 2 coaching qualification. Please send a CV Richard Whiteley, Coaching Co-Ordinator, The Huddersfield Town Foundation, Leeds Road Sports Complex, Leeds Road HD2 1YY or by email to Richard.whiteley@htafcfoundation.com.